Nothing creates the layered look quite so easily as the Connection collection. 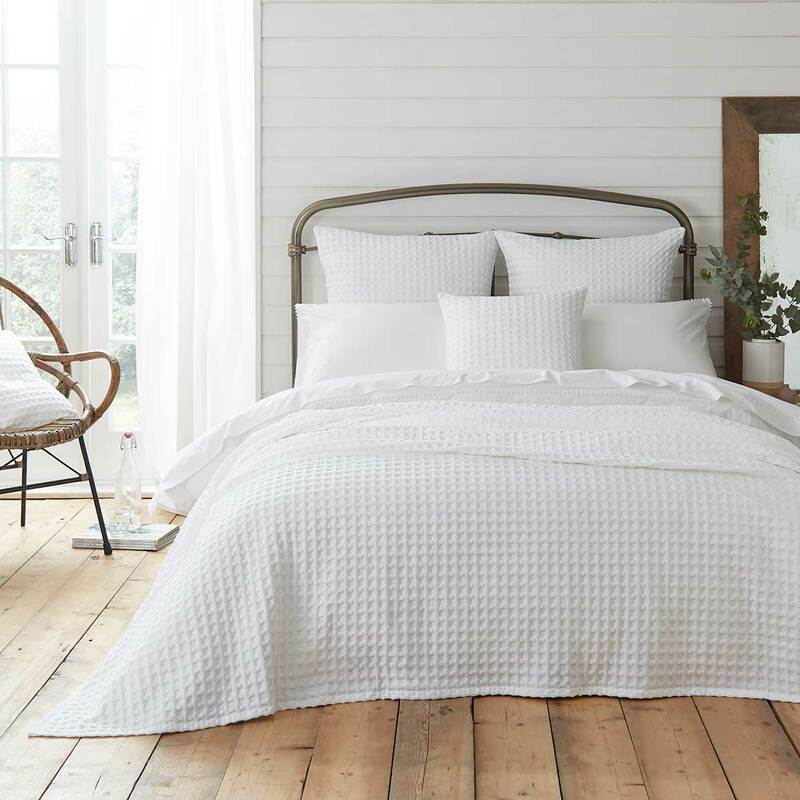 The soft but striking textured waffle cotton bedspread, throw and cushion covers will smarten up any bed. Choose from two colours; crisp white or cool grey. As a guide, we recommend that a throw is a good size for a double or king size bed and a bedspread is a better fit for a king size and super king bed, but it is personal prefference on how much coverage you require to create your desired look.